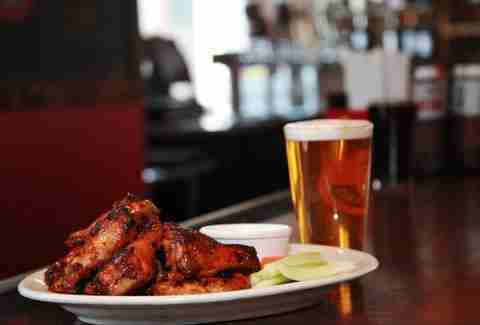 This neighborhood staple in the Montford bar scene is the perfect place to sit back with a beer on a lazy Sunday, particularly while chomping down on some of the award-winning wings. 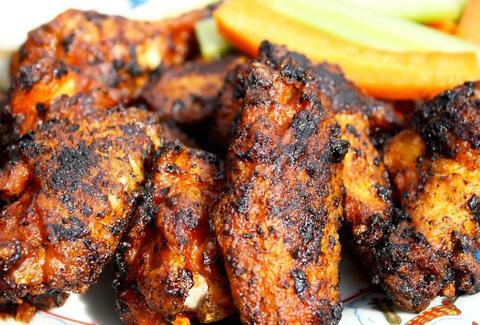 The top pick: Uncle Donnie’s famous blackened wings. Grab your basket and scope out a seat on the roof deck to enjoy the feast. Flip’n Chicken’s definitely got it right when it comes to its chicken creations. 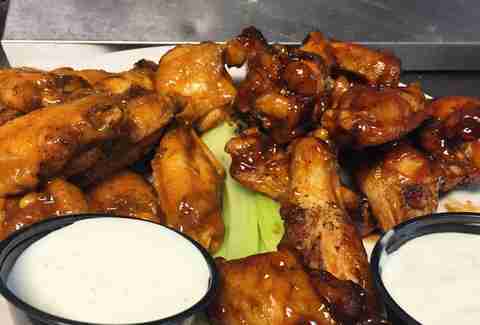 The restaurant prides itself on making its wings fresh every day; in fact, the place doesn’t even have a freezer. The must-try flavor? Garlic Parmesan. Order a party pack for the big game and don’t forget the homemade blue cheese dipping sauce. Yes, this local joint borders a gas station, but don’t let that deter you; the variety of flavors you can claim inside this hole in the wall will definitely make up for it. You can get Wing King’s raved-about birds drenched in 20 different sauces, and you can count on them to be cooked perfectly and seasoned just right. Roll up your sleeves and get down to business... oh, and it’s recommended you leave your date at home. The Dilworth fan favorite goes to Lebowski’s, a laid-back neighborhood grill where the wings are the definite crowd-pleaser. Though it’s technically a Buffalo Bills bar (the owner is from Buffalo), don’t let that stop you. You really won’t regret the visit after tasting the Gold Rush chicken wings -- a perfected sweet-and-spicy combination. The historic section of Plaza Midwood offers up some top-notch food, most particularly in the barbecue category. 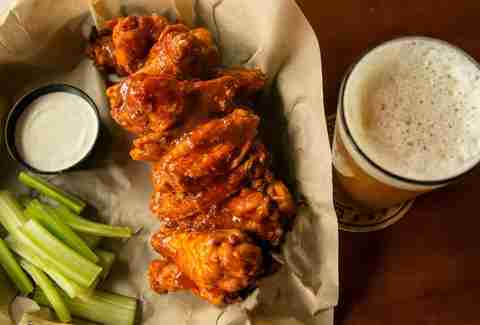 Whiskey Warehouse is no exception, and its crispy Warehouse wings -- particularly in Sriracha or Old Bay -- are a must-try. Call ahead and order for your upcoming tailgate, or simply enjoy your portion with a side of city skyline from the rooftop patio, which is always a bonus. Having mastered the art of BBQ, McKoy’s draws in every type of wing clique -- from biker crowd to corporate group -- in search of a weekday food fest. Known for its slow-smoked meats, McKoy’s wings are smoked in-house with pecan wood before being cooked over an open flame. 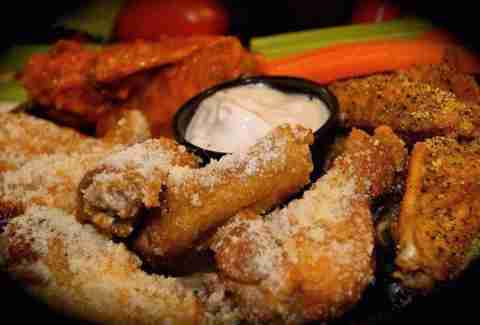 Stop in for the Thursday night game, just in time for $.50 wings. Kickstand may be known by many for its burgers, but its wings should in no way go ignored. The local favorite has got to be the spicy tiger wings, but you can always spice it up even more with a go at the chef’s blazin’ hot. While savoring all the saucy goodness of these meats, just make sure to grab some Wet -Naps for the sake of those who have to watch you. Don’t underestimate the small retail space of this local dive. Tucked within a Park Rd strip mall, d.d. Peckers' can easily be missed, and that’s exactly what makes it so appealing. Its meaty birds are raved to be world class and can be ordered in more than 20 different flavors (try the hot gold or honey hot) for up to 100 wings. The full bar inside doesn’t hurt either. 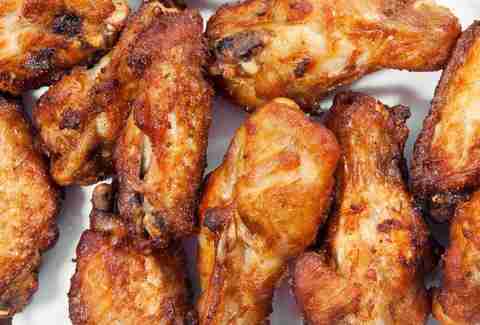 Queen City Q’s fire-roasted jumbo wings are smoked low and slow daily and served with homemade sauces, from chipotle apricot to Jamaican jerk. This First Ward restaurant has room for you to spread out with as many friends as you want; plus, a new Concord location is in the works so you’ll have more opportunities to get the smoked chicken you’ve come to obsess over. Though Picasso’s is down to just one location now in the Charlotte area, it’s worth the trip out to University. It may present the standard American sports bar vibe, but Picasso’s chicken wings are far superior in terms of typical bar fare expectations. These consistent and perfectly crispy birds can be coated more than 10 different ways, drawing you back weekly to test out your palate on the next taste in the lineup. Courtney is a freelance writer at Thrillist Media Group. She also writes and photographs for Epicurean Food & Wine Magazine and has authored two North Carolina collegiate cookbooks. She resides in Charlotte, NC, and can most likely to be found sipping wine on an outdoor patio.